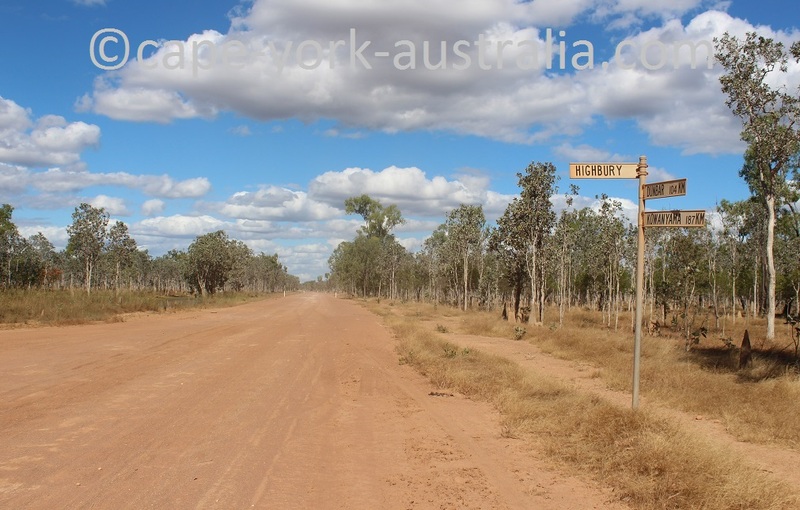 Burke Developmental Road is another great road to do. 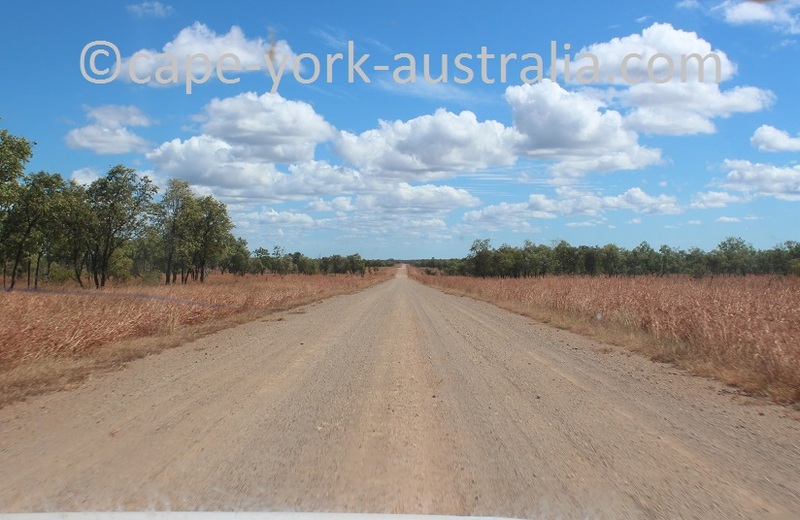 It is just south of the Cape York peninsula, and goes from east to west until Normanton. 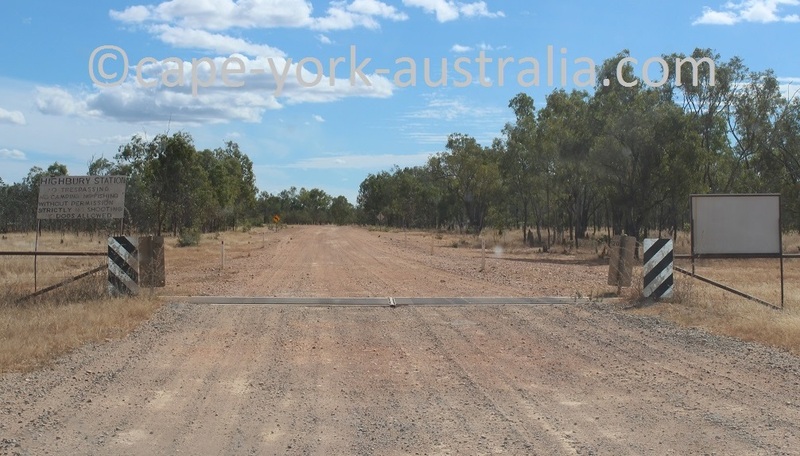 It goes all the way from Cairns on the eastern coast, but is officially only called Burke Developmental Road from Dimbulah on. 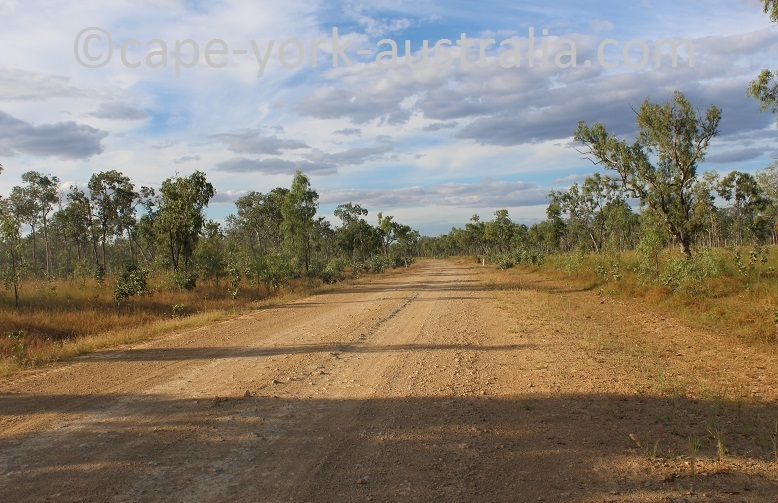 East of Dimbulah it is called the Mareeba - Dimbulah Road. 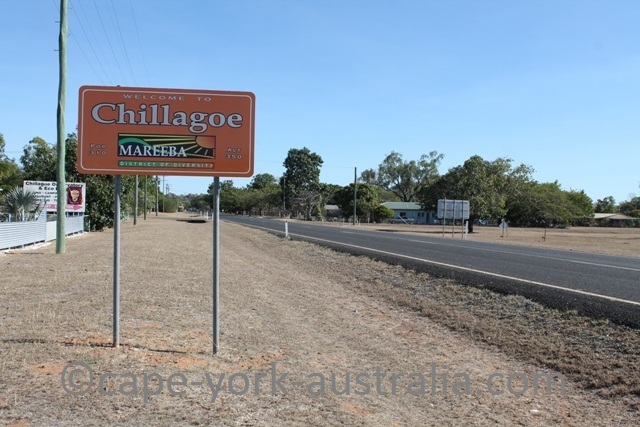 Between Chillagoe and Mareeba it also has the nickname "Wheelbarrow Way" (referring to the Great Wheelbarrow Race that is held here). 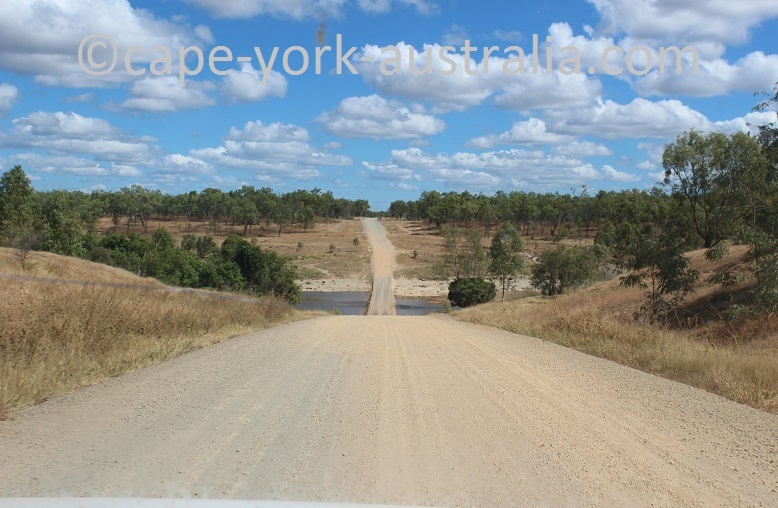 Most Cape York travellers only take the Peninsula Developmental Road to the Tip of Cape York, and never use this road. 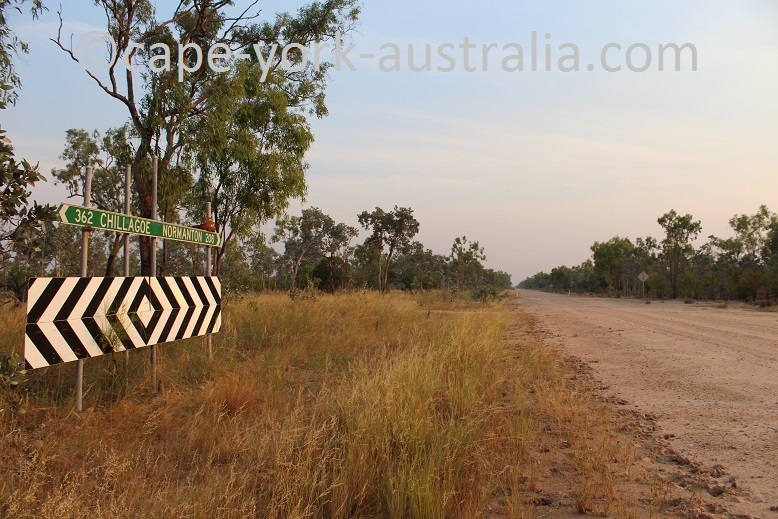 But, if you drive from Cape York to the Northern Territory or Gulf Savannah, you are most likely to drive it. 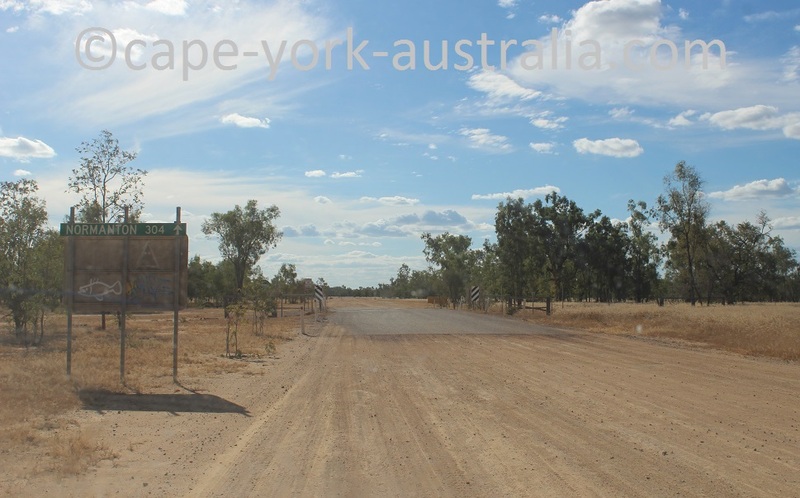 It is also a good southern entrance to Palmer River Goldfields, and the best entrance to the smaller but equally interesting Hodgkinson Goldfields area. 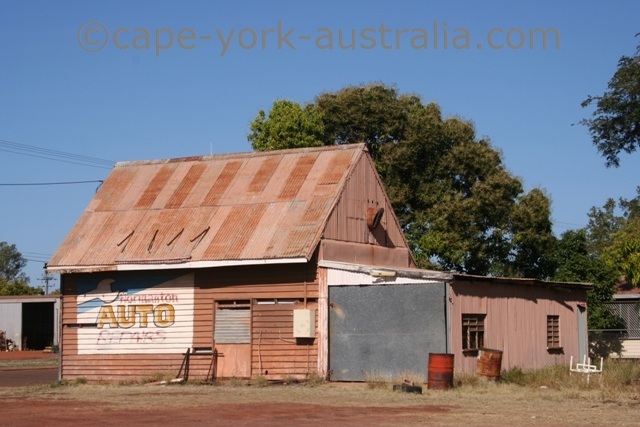 West of Mareeba, you drive along the sealed road, through some farming country, to Mutchilba, and then Dimbulah - a small township with some mining history. 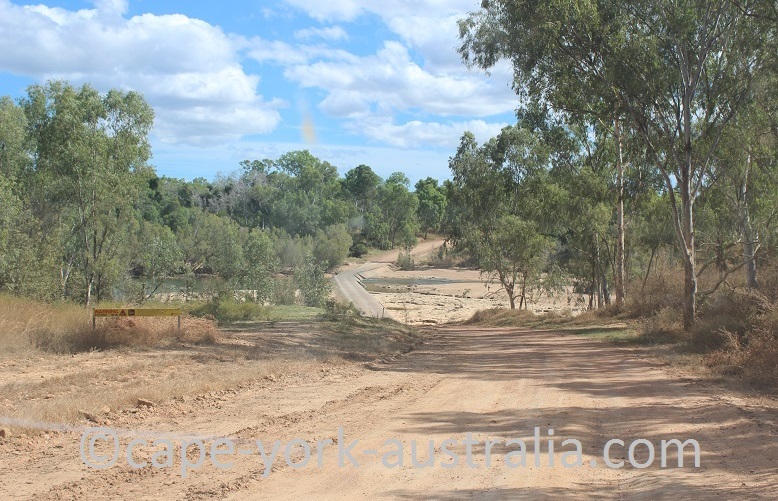 It is now a main access point to Hodgkinson Goldfields - there is a side track to the goldfields north of the town. ... and after that, you come to the small township of Almaden. 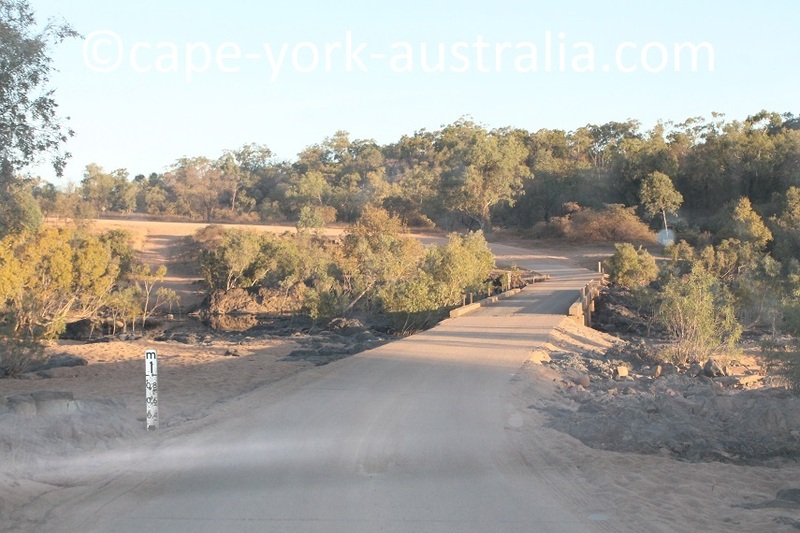 After Almaden the road is only partly sealed until Chillagoe (UPDATE 2016 - that stretch should get sealed very soon). 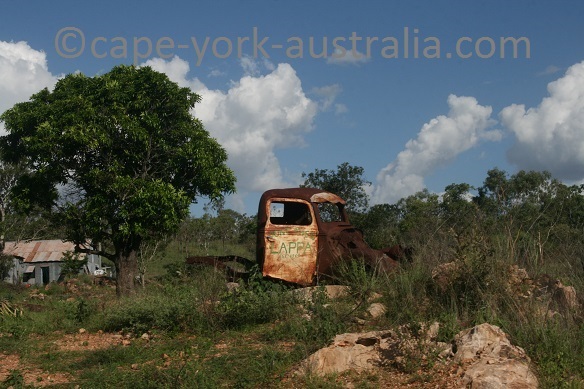 Chillagoe is a lovely little outback town with some mining history and some interesting geology, mainly in form of the spectacular limestone boulders that are everywhere. 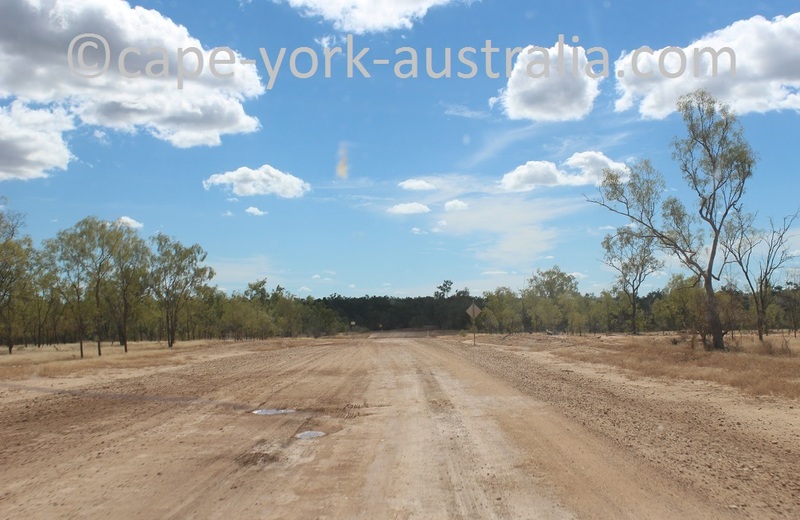 After Chillagoe, there are no fuel or services for 560km, for the rest of the Burke Developmental Road, until Normanton. 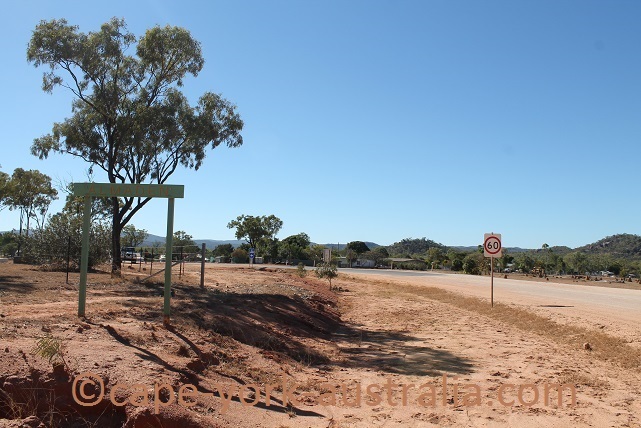 ... to Wrotham (here is also where you can turn off north to Palmerville, Palmer River Goldfields, Fairview and PDR). 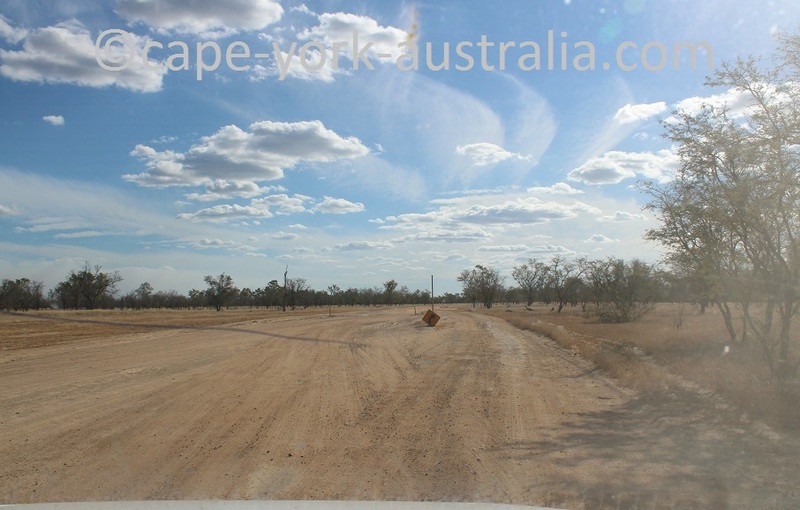 ... before you come to Gamboola turnoff. 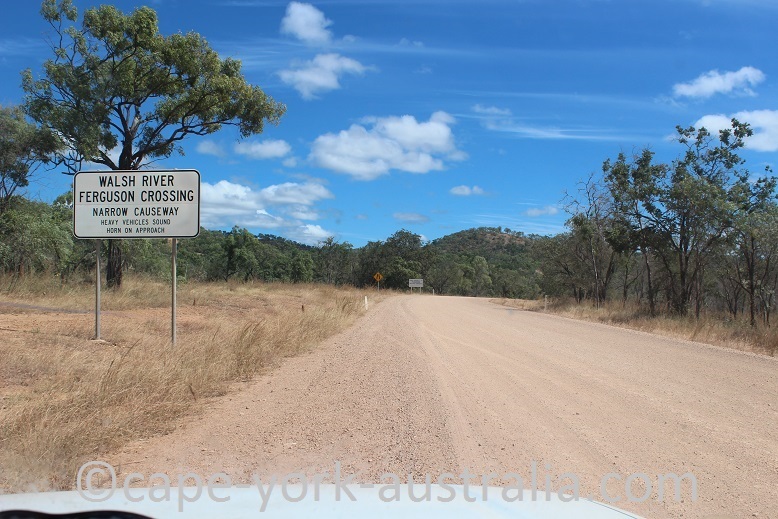 ... and comes to Lynd River crossing. 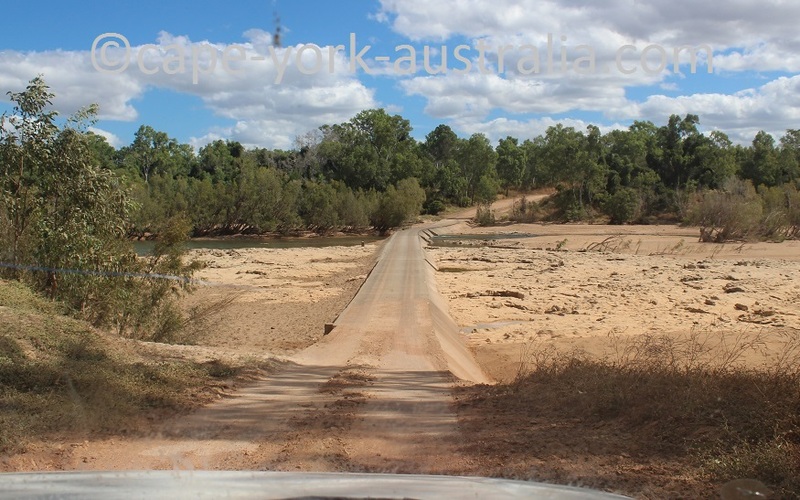 It is the third place (after the two Walsh River crossings above) that gets flooded during and right after the Wet Season. 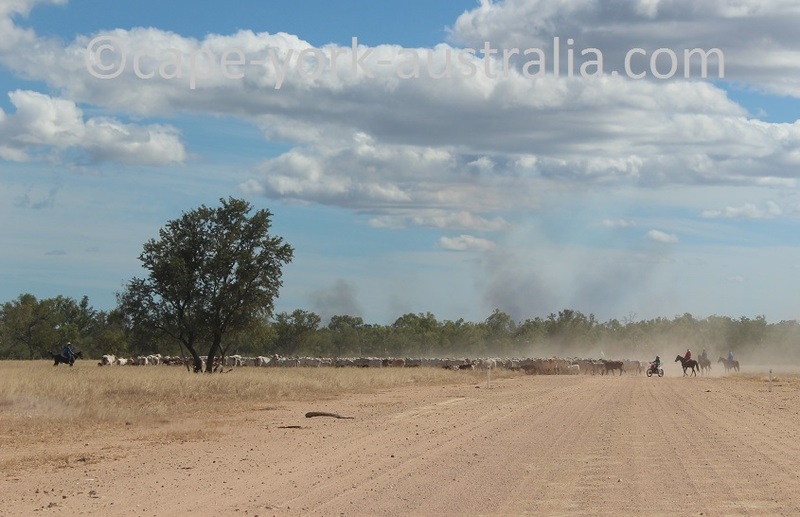 ... and you might come past some mustering. 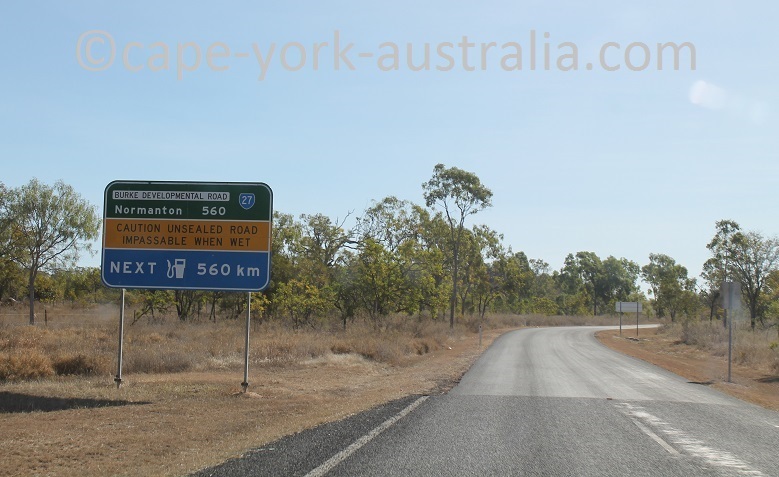 ... and then the Kowanyama and Koolatah turnoff. 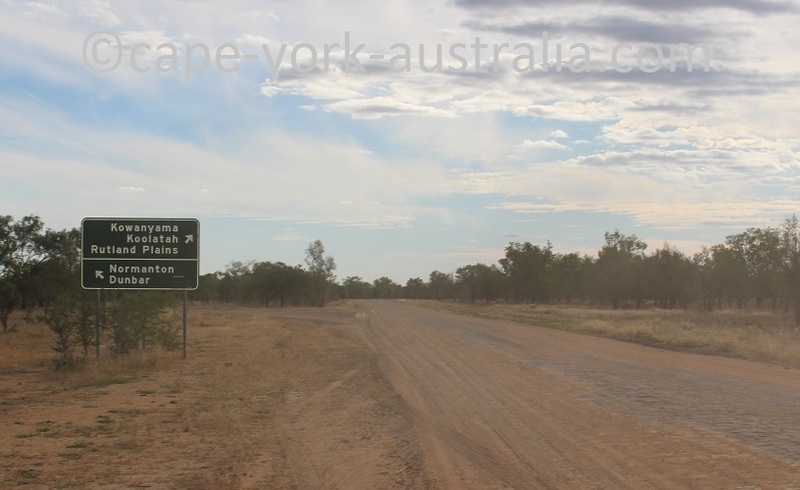 After that the road turns the direction with a sharp bend, and also changes in appearance. 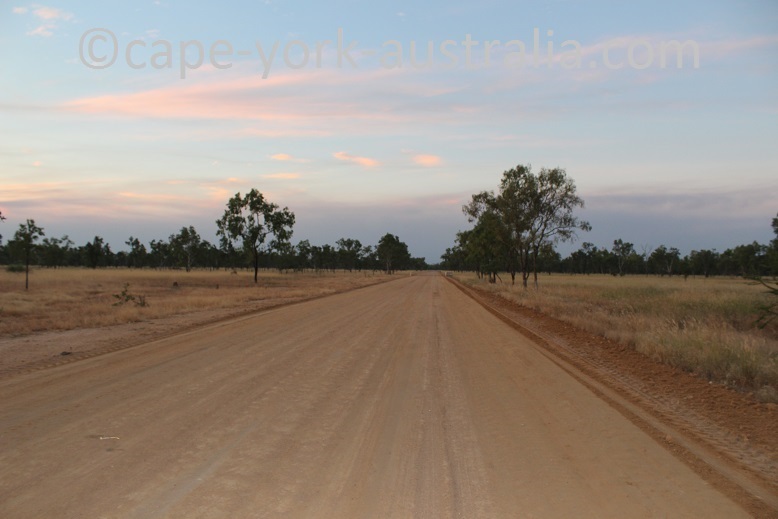 The road gets narrower, but there is also a change in the soil, you can tell you are now in the Gulf Savannah. 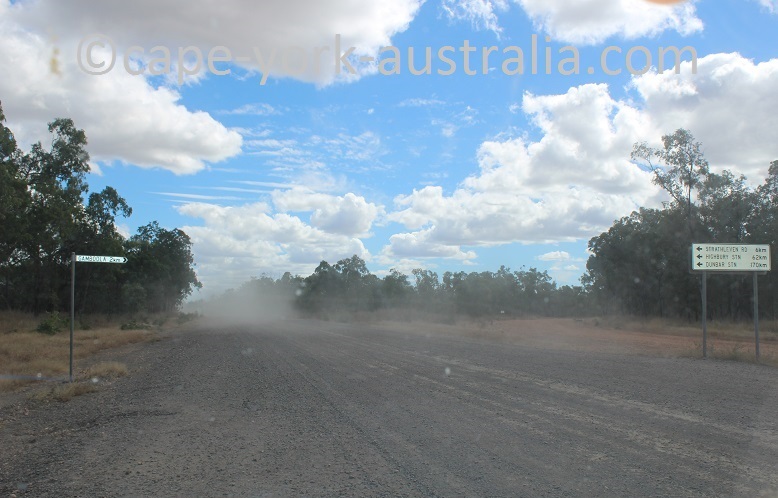 It is dustier, the dust is softer and finer, and stays longer in the air. 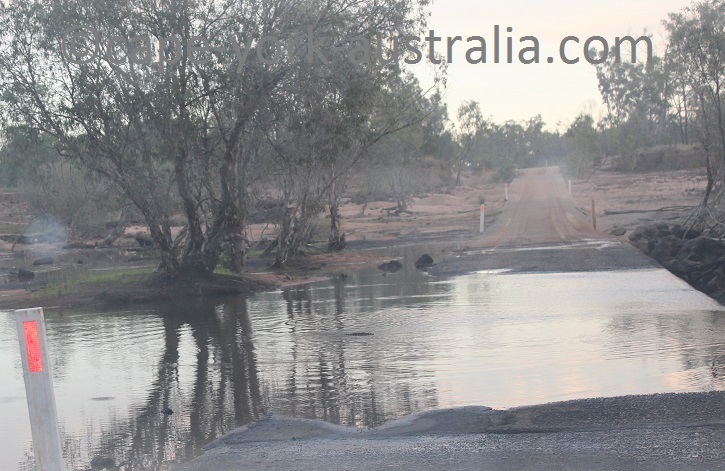 There are some water crossings, particularly Staaten and Gilbert Rivers, but also some of their tributaries at times. And being a quiet and remote country, it's always the kind of place where the crocodiles are out - there is one on the photo below, but you can only see a slice of its back, as it went under the water as soon as it saw me coming. 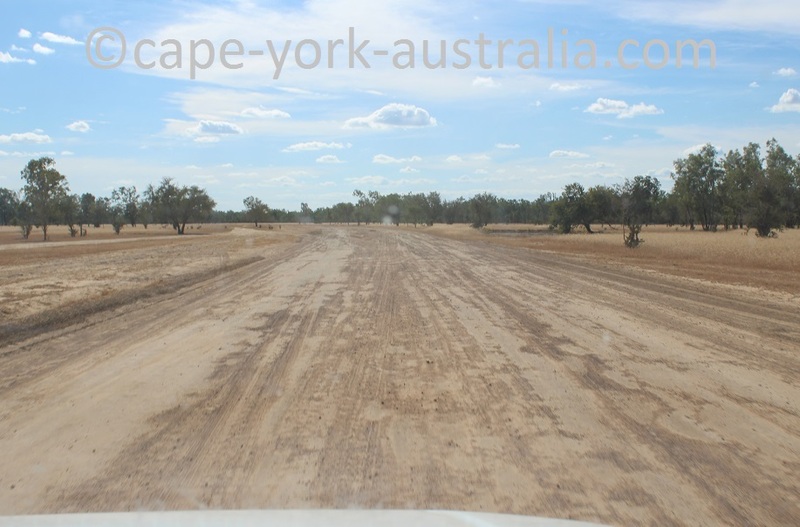 In the Normanton end, the road gets wider, better graded, and finally sealed, but that only applies to about 30km from Normanton. 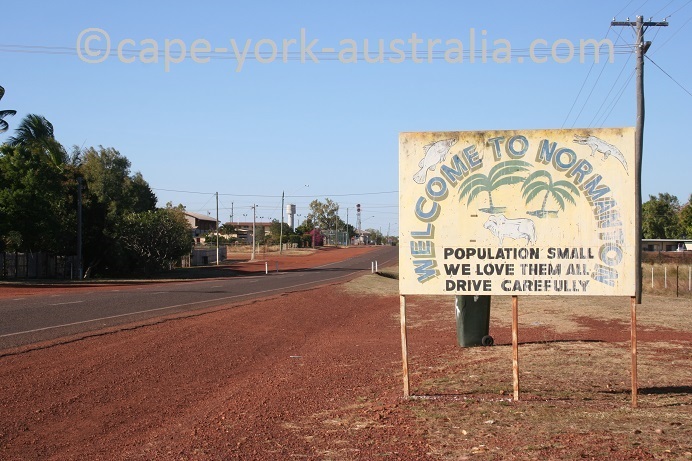 Normanton is a nice small township in Gulf Savannah. 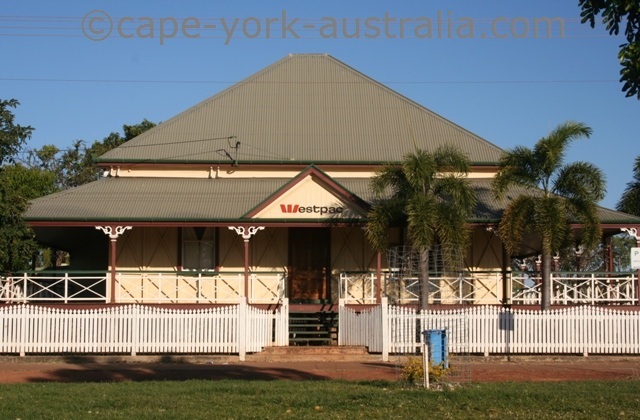 It has some lovely old buildings, an old jail and a courthouse, the famous Normanton Railway Station and the Purple Pub. 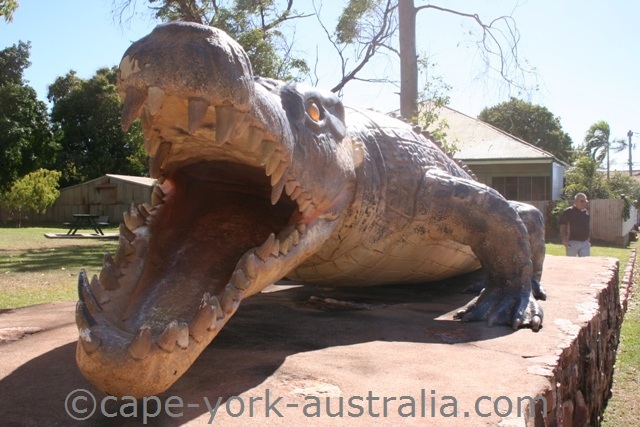 In the main street is also the statue of the largest croc ever shot in Australia - eight metres long. 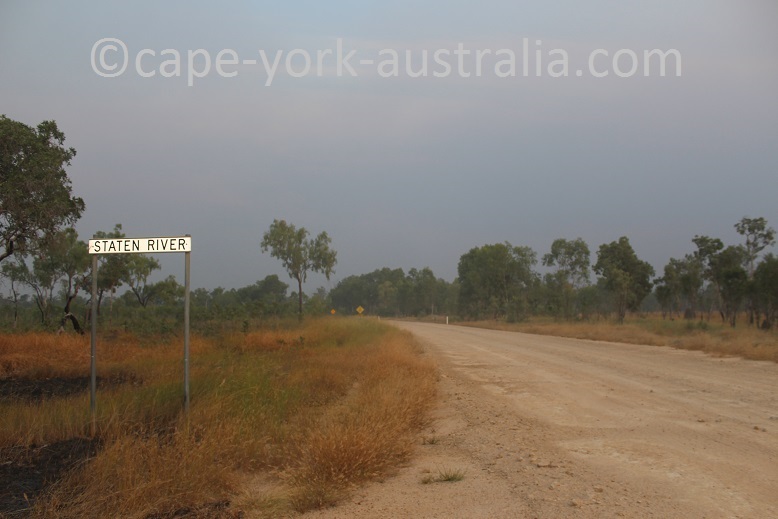 North of Normanton is Karumba - the only town in the actual Gulf Savannah where you can see the water (others are in river mouths), and consequently famous for its sunset views. 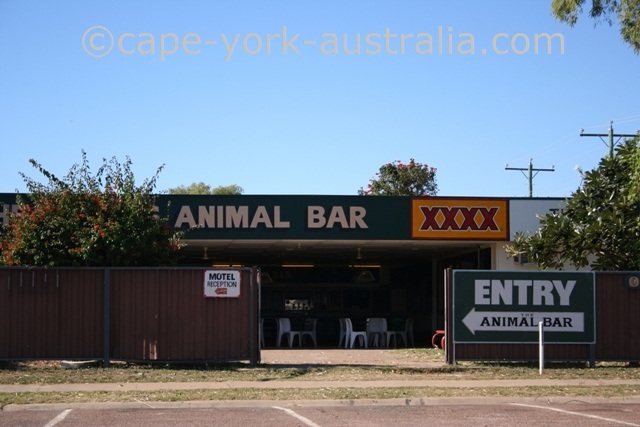 But once you have seen the sunsets (and the Animal Bar), you proably won't last here long unless you really love fishing. 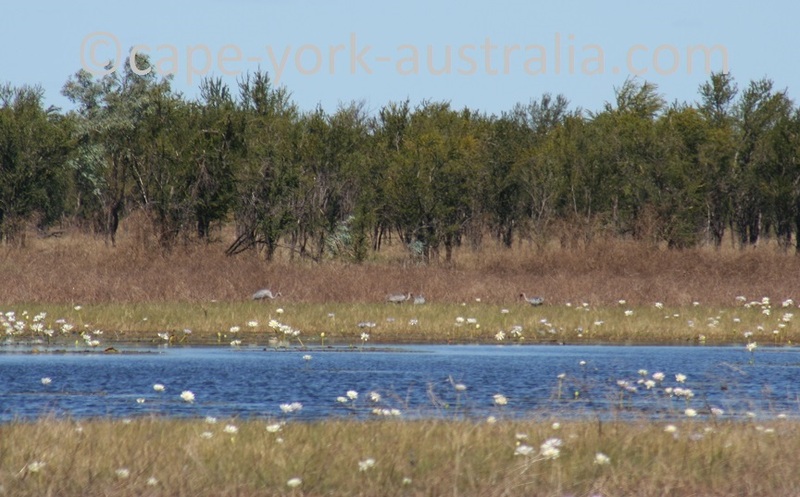 After Karumba, you have about 40km back to the Burke Developmental Road through some vast wetlands and grasslands country that is famous for its birdlife, at least the wetter part of the year. 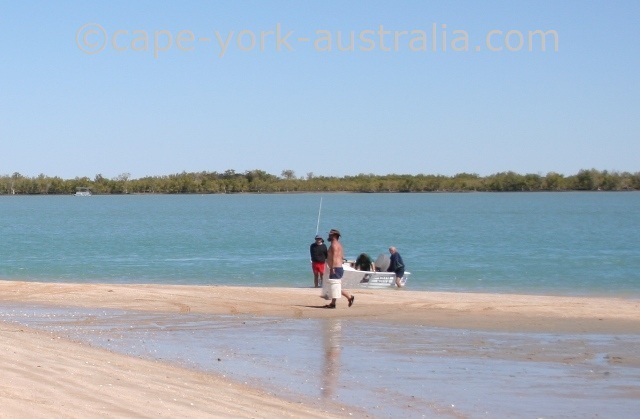 Normanton is in Gulf Savannah, just south west of Cape York. 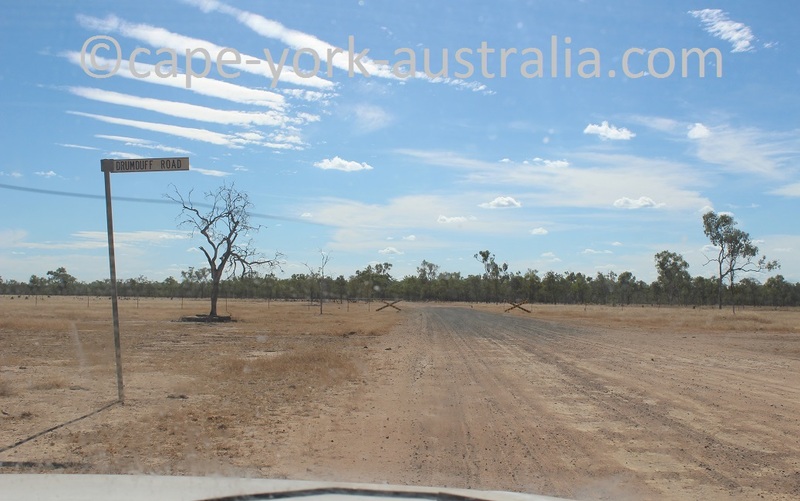 You will drive this way if you enter or leave the Cape York peninsula from the west, via Burke Developmental Road. 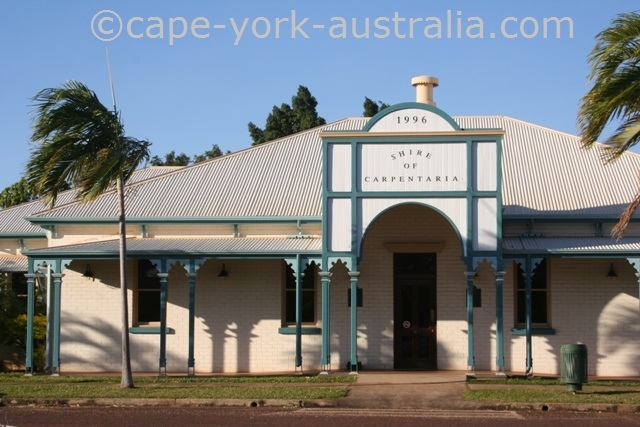 The town centre is colourful with beautiful old buildings, and there are a few things in town that are worth your time. 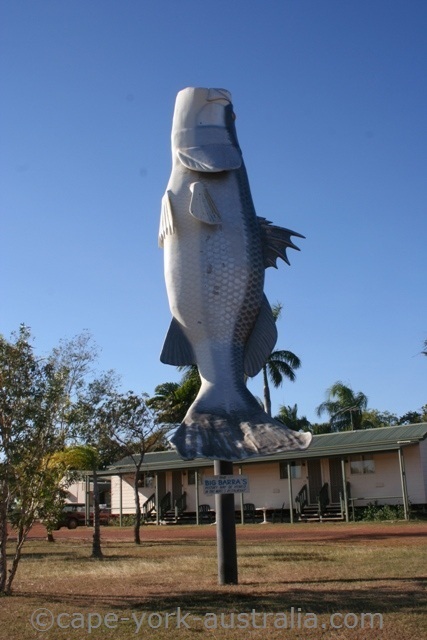 At the town entrance is the Big Barra, which in my opinion should have been in the nearby fishing town Karumba. The monster is a replica of Krys - the largest croc ever shot (by Krystina Pawlowski in the 1950s). 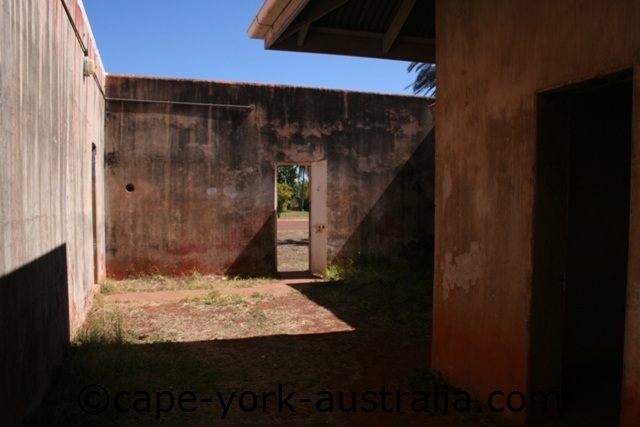 The croc was eight metres long. 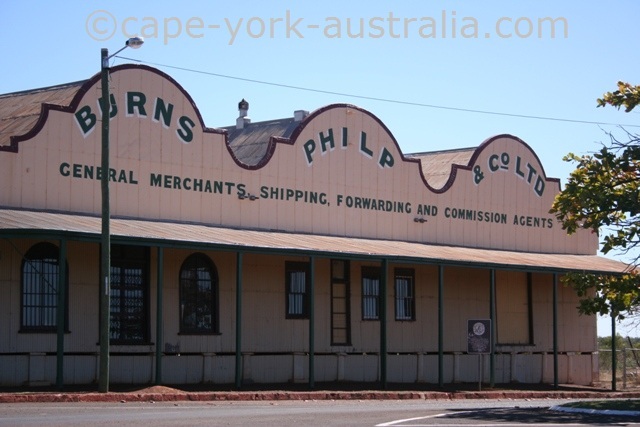 There are a whole lot of beautiful old buildings in town, many in bright colours. .. and many other beautiful and even cute buildings .. 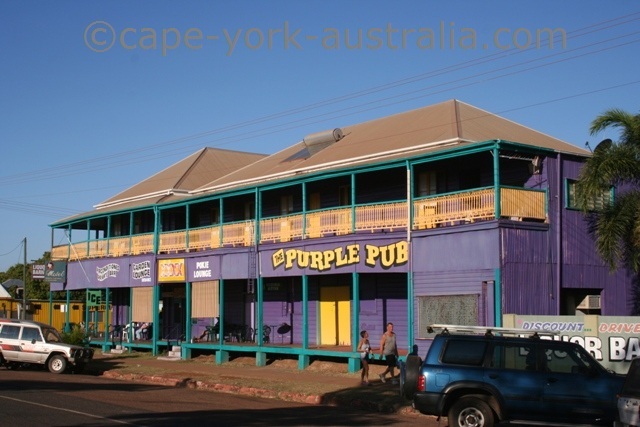 But of course, none is more famous than the Purple Pub. 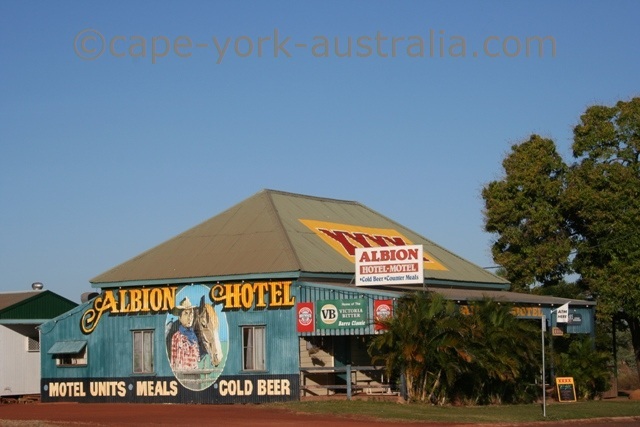 .. and there are also other hotels and places to stay. 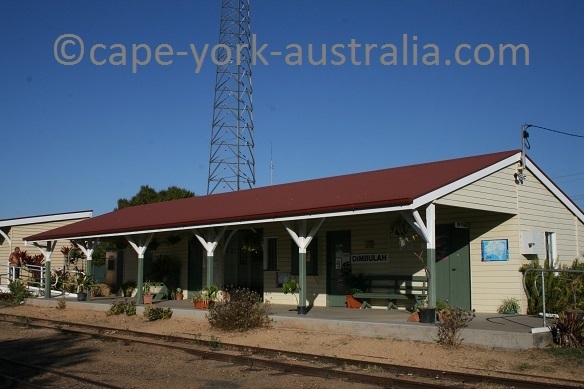 The town is also home for the famous Gulflander train, which departs once a week to Croydon, via small outback spots like Critter's Camp, Haydon, Blackbull, Ellavale and Golden Gate. 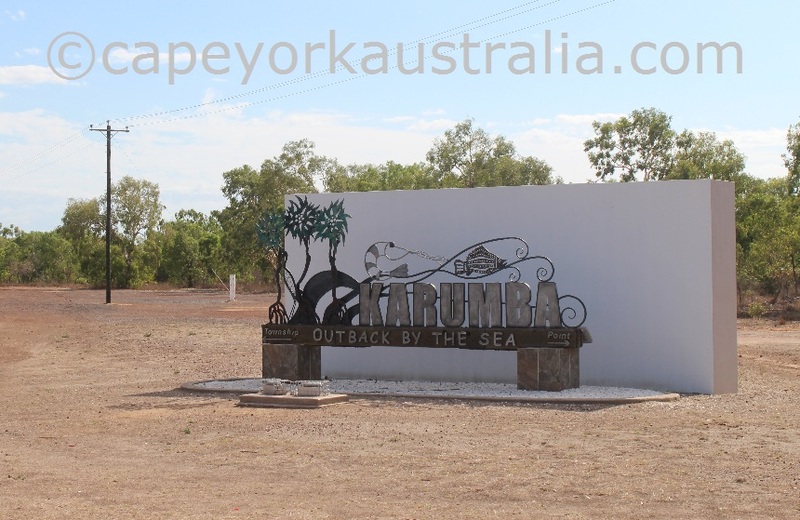 Karumba is in Gulf Savannah, south west of Cape York. 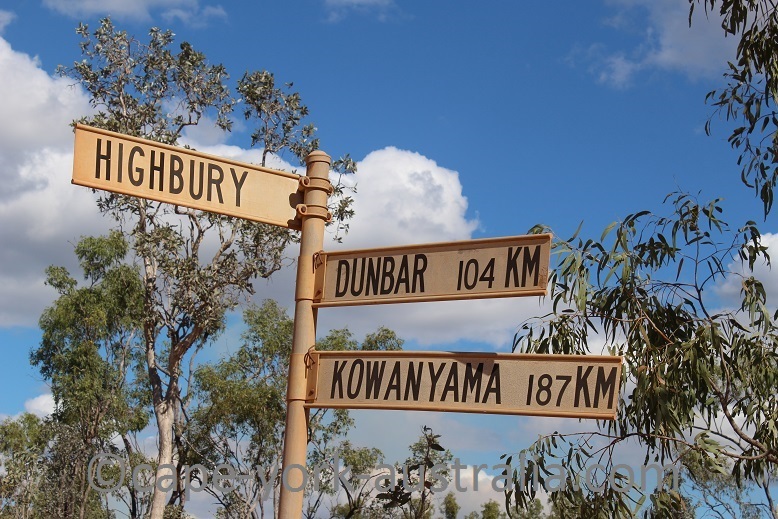 It is the only town to actually be in the Gulf - both Burketown and Normanton are only on rivers. 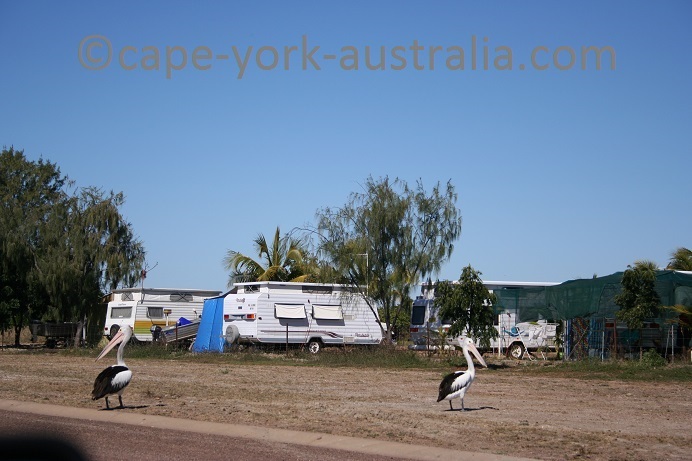 Consequently, the town is hugely popular with fishing; and also - just like Darwin - has become very popular with its sunsets that you can watch over the waters of northern Australia. 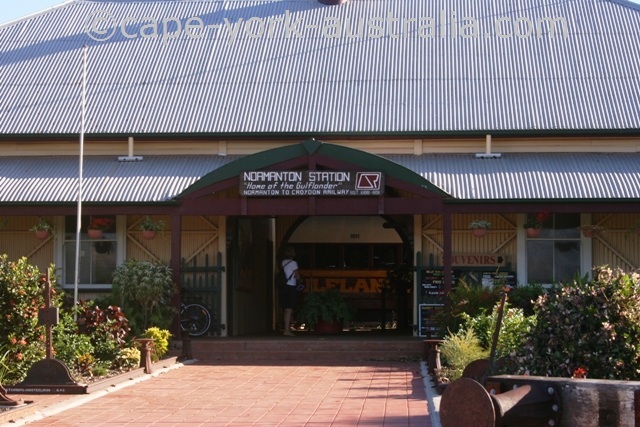 As opposed to Normanton (which has a large amount of carefully painted historical buildings), Karumba looks like a hastily thrown-together fishing village. And fishing village is exactly what it is - there is no better reason that brings people here. 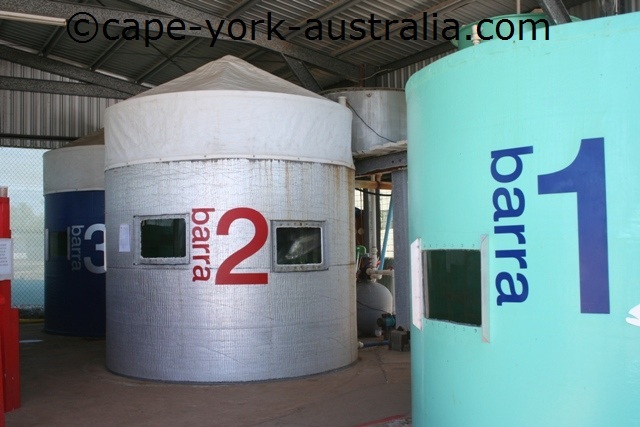 There is even a barramundi restocking facility - to help the stock last but also educate people about Australia's most popular gaming fish and what happens if fishing rules and regulations are not obeyed. The other main attraction is the Sunset Tavern, at the Sunset Point, where lots of people gather watching the sun setting over the ocean with a drink.